Choosing a mattress should be one of the first things you do when you move. You spend more time on your mattress than any other piece of furniture and with all of the options out there, it can be hard to find out which mattress is the best one for you. 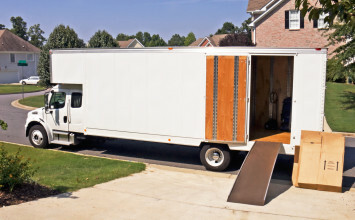 No matter how you sleep, your budget, or your moving timeline, this guide will help you with the daunting task of choosing a mattress when you move. What are the options when choosing a mattress? There are many different mattress types to choose from, including those filled with air and water. Here are the most popular and durable mattress choices available right now, so let’s get going! Memory foam mattresses are made of several layers of foam that mold to your body. This dense foam keeps its shape, supporting your back while also letting points like your hips and shoulders sink into the mattress, making memory foam mattresses great for alignment. They are also hypoallergenic and often come with a dust mite barrier, making them one of the best options to keep allergens at bay. If you are thinking about choosing a memory foam mattress, you should be aware that they can also trap your body heat around you, causing you to overheat throughout the night. The standard coil mattress has remained a popular favorite over the years for two primary reasons – cost and durability. While you can choose the most expensive coil mattress, you can also find some quality, budget-friendly options. When choosing a coil mattress, find out how many coils there are (ideally between 500 and 900) and the quality of the padding between the coils and the sleeper. This will help you choose a quality mattress with the support and padding you need. When choosing a mattress, keep the bounce factor in mind. Coils do not absorb motion as well as foam mattresses, so, if you share a coil mattress with a restless sleeper, you are more likely to notice their tossing and turning. Choosing a pocketed coil mattress, where the coils are individually-wrapped, can help keep your partner’s restlessness. Latex mattresses are similar to foam mattress in the way that they mold to your body, but latex foam is generally cooler to sleep on and bounces back faster than memory foam. They also offer different levels of firmness and are generally more durable than memory foam mattresses. If you want an eco-friendly option, consider choosing a latex mattress since they are often made with natural materials and can even be organic. Which mattress is the best one for me? 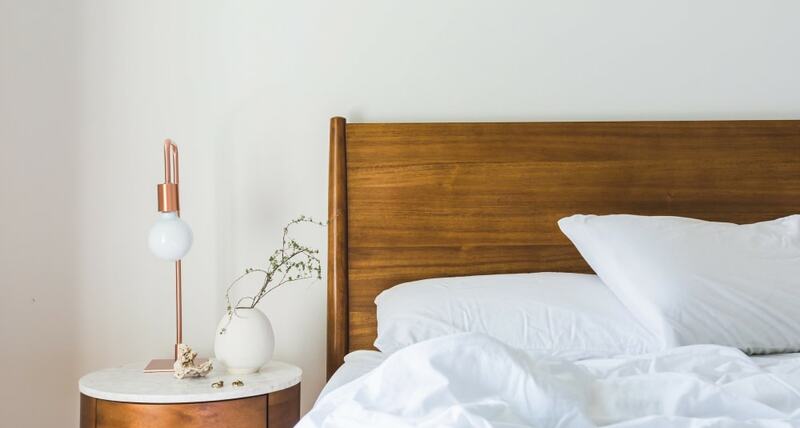 Now that you know the three main types of mattresses, it is time to get down to the nitty-gritty and figure out which option is the best one for your needs. 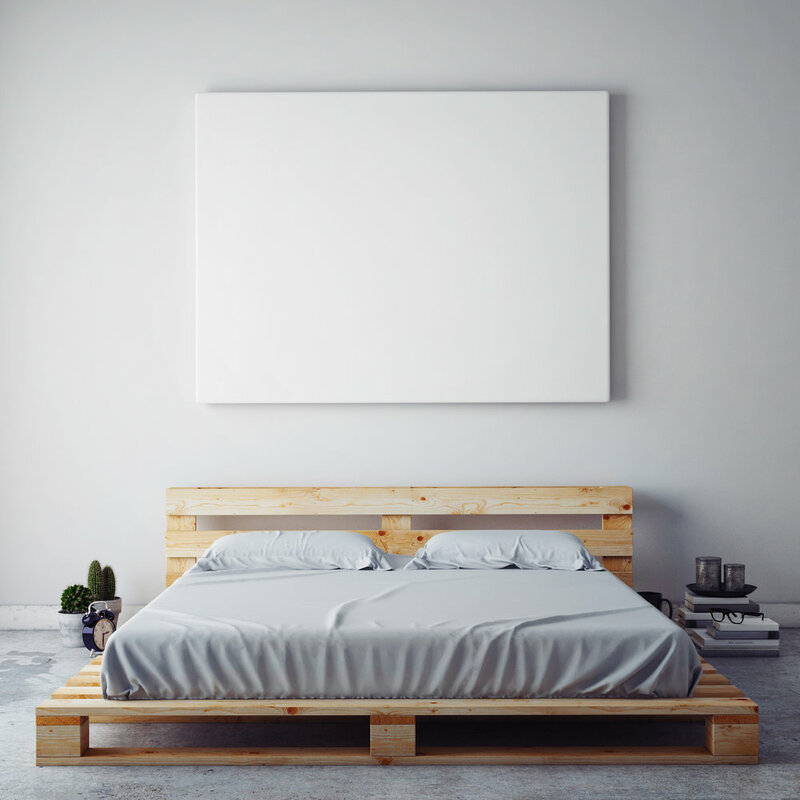 Whether you are a side-sleeper on a tight budget, you always wake up too hot, or you are signing a short-term lease, these lifestyle variables affect how you go about choosing a mattress when you move. You will want to choose a mattress that offers a lot of pressure relief as it conforms to your body. Choosing a mattress made of memory foam or coils will give you the support you need, without feeling like you are sleeping on a hardwood floor. If you opt for coils, you might want to add a fluffy topper for extra comfort and luxury. If you sleep on your back. When choosing a mattress, you will want the support of a latex or coil mattress, to keep your spine in alignment. Both of these will give you plenty of support, but if you enjoy a firmer mattress the coil is your best choice. If you sleep on your stomach. Stomach sleepers should steer clear of memory foam mattresses. You can feel smothered by the sinking feeling and get far too hot overnight. A better choice for a stomach sleeper would be the traditional coil mattress with dense springs for plenty of support. That way you can avoid sinking while you sleep. A latex mattress would be another good option for stomach sleepers choosing a mattress. They also offer more support than memory foam mattresses and their density can be personalized for your sleep style. If you overheat at night. When you are choosing a mattress, you will want to stay away from both memory foam and latex mattresses, because they tend to hold in more heat than a coil mattress. As the foam molds to your body, it brings the heat with it, wrapping you in warmth. The best option for you would be a coil mattress with a fiberfill topper that you can take off and wash when need be. This way you can sleep cool and protect your mattress. There is a lot to consider when choosing a mattress based on price. Once you know which type of mattress will work best for your lifestyle, you can break it down even further by the upfront cost, durability, and manufacturing options. You can find a version of each mattress to fit a range of budgets, depending on your priorities. The average cost for a memory foam mattress is $860, with prices ranging from $325 to $1,400. The type of foam you choose impacts price, with more dense foam usually costing more upfront. That does not mean that the more compact foam is better, though. You might need something a little softer to get a good night’s sleep. In this case, choosing a mattress with less dense foam can decrease the upfront costs and provide you with a more comfortable bed. Memory foam mattresses tend to last about 10 years as the foam loses density over time and stops bouncing back to its original form. This means that the less dense the mattress foam is to begin with, the more it will soften up over time and the quicker it will become too soft to use. If you are worried about your mattress losing density, a coil or latex mattress is the better option for you. A lot goes into determining the price of a coil mattress. While the average cost is $950, a coil mattress can cost you anywhere from $100 to $2,500. Why the drastic price difference? The price fluctuates depending on the coil count, the gauge of the coils, what the comfort layer is made out of, and whether the coils are in individual pockets or not. Each one of these variables contributes to the overall cost and lifespan of a coil mattress (7-8 years), so keep them in mind when you are choosing a mattress. Support in a coil mattress also depends on the gauge of the coils. These gauges can be overlooked when choosing a mattress, but it is important to keep them in mind as you search. As a rule, the lower the gauge, the thicker the coil and the firmer the mattress. This range is usually from 12-15, with 12 being the thickest and 15 being the thinnest coil gauge. If you are looking for a softer mattress, go with a 14 gauge or above. If a firmer mattress is more your style, stick with a gauge of 13 or lower. As you can imagine, the thicker coils last longer so if you can sleep comfortably on a slightly firmer mattress, it could save you money in the long run. 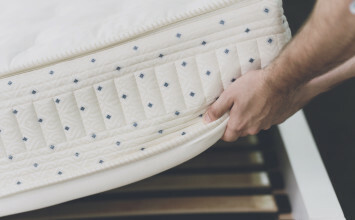 When choosing a coil mattress, one other budget-changer is the addition of pockets around the coils, which helps to reduce the feeling of movement between coils. Since each coil is individually wrapped, your sleep could be protected from a restless partner. The top of your coil mattress – the comfort layer – also impacts its price. This is the topmost layer of your mattress and it adds to the comfort of your mattress, while also protecting your body from the mattress’ internal spring core. You can choose from a range of toppers, including latex and gel, and they all come at different prices. When choosing a mattress and its comfort layer, you can tweak your choices to fit your budget. Latex mattresses have the longest lifespan by far, often lasting 10 years or more. They aren’t cheap though, averaging at $1,600 and costing anywhere from $450 to $5,000. When choosing a latex mattress, the biggest cost factor is the type of latex you choose. You can pick from three types – Dunlop, Talalay, and natural latex. Of the synthetic latexes, Talalay is considered both more expensive and more comfortable than Dunlop, though it is softer and less durable. Choosing a foam mattress with one of these two synthetic latexes will bring the price of your mattress down since natural latex is more expensive than both of the synthetic options. The most expensive material for memory foam mattresses is organic latex, so keep that in mind when working with your budget. So you’ve selected the type of mattress you want and now you are ready to buy. But where do you buy it? Your local mattress store, the large chain across town, or online? Here are the benefits and drawbacks of each option. Say goodbye to the days of spending your Saturdays at the mattress store. You no longer have to spend one of your packing days laying down on sample mattresses in a store that is full of other shoppers and salespeople. When you choose to buy a mattress online, you can read reviews and compare mattresses in the comfort of your own home or from your favorite cafe. Moving can be expensive, so finding a good deal on a mattress can make a big difference. Online mattress stores can offer much lower prices to customers since their overhead costs are considerably lower than brick-and-mortar stores. Choosing a mattress from an online retailer can save you up to 70% on your mattress. 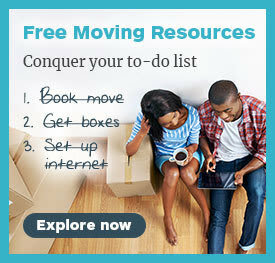 In addition to the lower base price, shipping is often free when you are choosing a mattress from an online retailer. If you are worried about not liking a mattress you buy online, don’t be. Most online mattress stores offer at least a 100-day trial period and will cover the shipping and return fees if you are not happy with your mattress before the 100 days are up. To sweeten the deal, if you return your mattress, they will also give you a full refund rather than forcing you to exchange your mattress for another one. Not everyone wants to lug a 75-pound mattress up the stairs and finagle it onto their bed frame. If this sounds like you, buying from a brick-and-mortar store could be a better option. 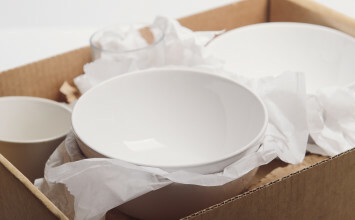 Some companies offer delivery services that include the set up of your mattress and the removal your old one, giving you more time to unpack with ease. If you are a master negotiator and can talk your way into some extra pillowcases for a lower sale price, you may be able to negotiate with some mattress store owners. It can be hard to know which stores are up for bargaining, so be sure to understand your options before starting your pitch. For some, the unknown is just too risky. If you must try before you buy, choosing a mattress from a brick-and-mortar store is the best way to go. Some online brands do have locations set up where you can try their mattresses, but they might not have a showroom near you. For most people looking to try out their mattress first, they will have to go to a brick-and-mortar store. When do you want to buy and have your mattress delivered? Your moving schedule is chugging along, and with choosing a mattress near the top of your to-do list, timing is everything. Delivery times for mattresses range from one to 10 days. Add on another day or two for your mattress to settle and for any off-gases from packaging to dissipate and you have a good three to 13 days prior to your move-in date to buy your new mattress. Delivery can be shorter for brick-and-mortar stores, and on average, two days longer for online retailers. Additionally, brick-and-mortar stores often deliver on the weekends. With many online retailers shipping through USPS, they cannot deliver on weekends but may offer some late night options to weekday workers. Have you ever noticed that new mattress smell? When you unpack your mattress, you might notice the familiar scent of off-gasses. These are chemicals used in dust mite barriers, flame retardants, and adhesives that have had time to build up in the packaging of your new mattress. While they might smell unpleasant, they are considered safe. Though all mattresses will have some off-gasses, it can take longer for the gases of certain foam mattresses to dissipate. If you have to move in a hurry and are particularly sensitive to these smells, you may want to opt for another style of mattress. We hope this guide helps give you a better idea of what goes into choosing a mattress, what the best type for you is, and the most convenient way for you to buy one. Just bought a mattress? Share your best tips and tricks for choosing a mattress in the comments below!